'Claro que si! takes a functional, integrated skills approach that helps students develop receptive and productive skills simultaneously. Students acquire communicative skills while gaining an awareness of and appreciation for Hispanic cultures. The program's practical, relevant themes, lively practice, and engaging technology components start learners communicating early and confidently. 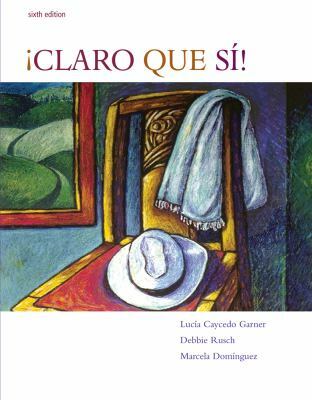 Consistent recycling of material and a balance of serious and humorous content make learning Spanish enjoyable.Rusch, Debbie is the author of 'Claro Que SI! ', published 2007 under ISBN 9780618802975 and ISBN 0618802975.